Grew up... in Santa Monica, California. That’s where the heavyset Hurley developed his friendly, open demeanor, but also where his run of incredible bad luck began. Like all streaks of misfortune it started when he won the lottery and became rich beyond his wildest dreams. OK, it’s complicated; you’ll just have to watch. Living... as happily as he can on an island full of dangerous mysteries, with no rescue in sight. 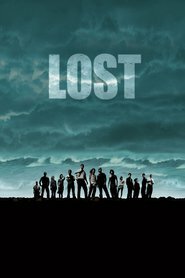 Hurley was a passenger on Oceanic Flight 815, which crashed somewhere over the Pacific. On the island, Hurley is always trying to lighten the mood, whether by organizing a game of “golf” or starting a conversation about Star Wars. Profession... previously working at a fast food franchise. He was eventually able to buy a location with his lottery winnings. Now that he’s on the island, he’s in charge of cheering people up and using the flight manifest to figure out who survived the crash. But what happens when he finds someone among the group who isn’t on the manifest at all? Relationship Status... single, and self-deprecating about it. He’s insecure about his weight and his inability to talk to girls. But to be honest, it sounds like there’s a monster living deep in the jungle, so there are other things to worry about than coupling up. Challenge... ending a string of horribly unlucky events. His lottery victory led to a series of increasingly bizarre and grotesque happenings, which might have been funny (in a dark way) if they weren’t actually happening to him. Maybe that’s why he’s on the island; he could sure use a fresh start. But those numbers he played in the lottery are starting to pop up on the island. Is he cursed? And if so, is this the place for him to break his bad luck? Personality... easy-going and disarming. He can get this rag-tag group of survivors to open up with a simple “dude,” his favorite word. Hurley is a follower, but a loyal and useful follower to have on your team in any survivor squabble. And he’s seen enough movies to know – or think he knows – what the opposing faction might really be up to. Hurley Reyes's popularity ranking on CharacTour is #1357 out of 5,000+ characters. See our top-ranked characters and read their profiles.